Posted September 9th, 2016 | Category: Applian Software, Product Updates, Replay Converter, Replay Media Catcher, Replay Music. Posted April 29th, 2016 | Category: Applian Software, Music, Replay Converter. The digital world has an endless supply of amazing audio to download and enjoy — from music to podcasts to audiobooks, and beyond. As you obtain these audio files bit by bit, you’ll find that each source may have a different type of file — this can make things difficult when actually trying to listen to your new media. 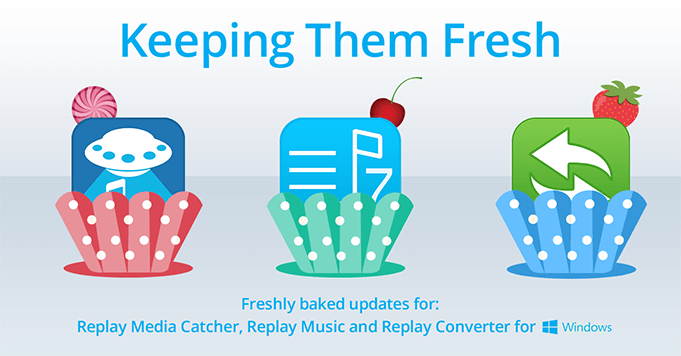 To solve this annoying audio file issue, we created Replay Converter, the easiest media converter on the market today. Simply select the files to convert, choose an output format, and the conversion happens automatically! 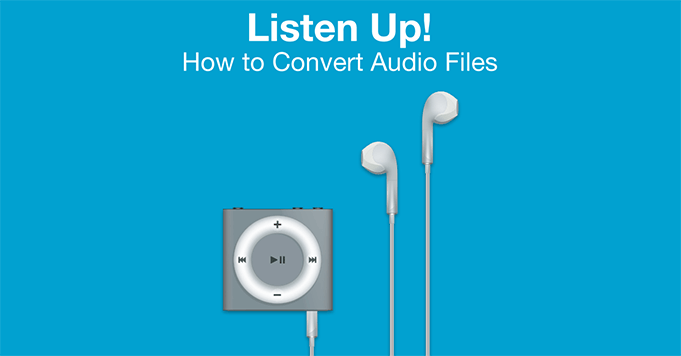 Convert your audio files to popular formats like MP3, WMA, WAV and FLAC. Tag tracks with accurate song titles and album artwork. Make more in-depth adjustments to bit rate and frames per second. Drag & drop audio files for easy input and conversion. Convert files in batches to get things done more quickly. Convert video as well as audio files. Rip and burn full, high quality CD’s. 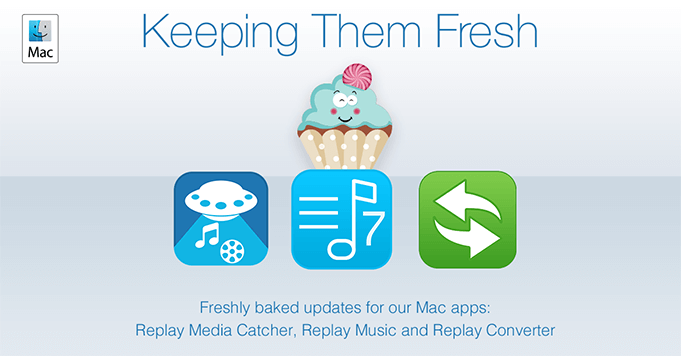 There’s a new Mac version of Replay Converter also available. Ready to get started converting all those pesky audio files? Posted May 1st, 2015 | Category: Applian Software, Replay Capture Suite, Replay Converter. We love online media, that’s why we’ve built the best suite of tools to capture, modify and store audio and streaming video from nearly anywhere around the web. 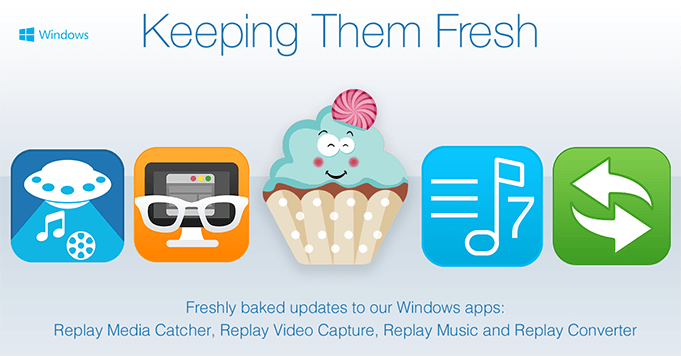 That’s why Replay Capture Suite is perfect – fully loaded with recording solutions for any online media site. But we know we live in the age of niches, and that sometimes smaller, simpler tools are what’s called for. We have a range of products that can help you to collect, edit and protect your audio and video files. Here they are in case you forgot! VIDEO PADLOCK: Secure and encrypt any file on your PC with one set password. Video Padlock is our Fort Knox program. It has a simple interface, is easy to use, and keeps files totally inaccessible to anyone but you. Lock it all down! REPLAY TELECORDER FOR SKYPE: One of our very favorite business and personal communication tool is Skype – free to use and wonderfully popular. With Replay Telecorder , you can record audio and video in your choice of five different layout options and save it to your PC . Perfect for meetings or conversations you want to keep. REPLAY MEDIA SPLITTER: Our one-stop-shop for super-simple editing of all kinds of file formats! Split and join audio and video files to create the media you need. Forget the Edit Bay, this is the simplest tool for precise control. 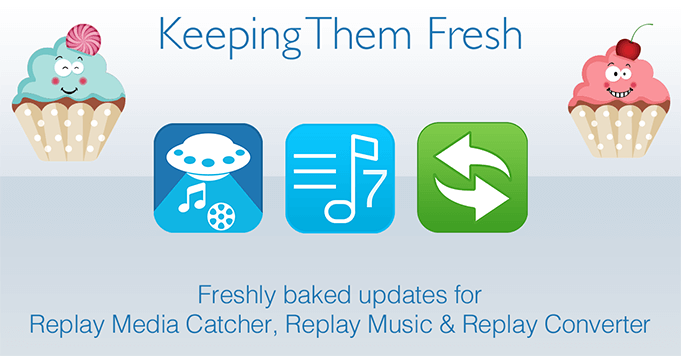 REPLAY CONVERTER: Our tool for converting audio and video file formats. From MP3s to WAVs, WMPs to MP4s – we got you covered. Even YouTube videos to MP3’s. APPLIAN DIRECTOR: Finally, if you want it all organized properly, you’re going to want our Director tool to point you to the right tool for the job. It comes free with The Replay Capture Suite, but you can also get it separately, here!